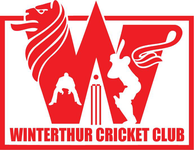 Since the club has been founded way in 1982, Winterthur has always been the most easterly club in the Swiss league. But with the introduction of St. Gallen Cricket Club to Cricket Switzerland at the AGM on 1st March 2014, that has now all changed. Winterthur's new neighbours was the brainchild of Winterthur's top bowler last season, Nasir Mahmood. So although Winterthur gain some new opposition, we are sad to see Nasir go. St. Gallen Cricket Club will compete in both the Swiss domestic competitions, the 40 over league and the Pickwick T20 Cricket Cup. St. Gallen Cricket Club has been granted two grounds by St Gallen city. One is a practice ground and the other is their playing ground, located near the AFG Arena Sportanlage at Gründenmoos (Gründenstrasse 34, 9015 St. Gallen). You can read more about St. Gallen Cricket Club on the Cricket Switzerland website.